There’s nothing better then stumbling upon a great bar where the atmosphere is laid back, the people are friendly and the drinks sublime. But there’s another category that has been expanding along with the current trend of quality drink: the food. The words “bar food” don’t mean what they used to. Bars and lounges across the country are upping the expectations from the typical French fries, buffalo wings or cheesy nachos, by delivering gourmet dishes worthy of any high-end restaurant. The artwork is sometimes strange, but always local. The interior is sophisticated and modern, decorated with antique wood. The atmosphere is balanced and natural. This restaurant is everything Ottawa represents, and we liked it even before we put anything in our mouths. Then we tried the Calamari BLT and liked it even more. With over 150 scotch whiskeys, an impressive food menu and a cigar lounge, Whisky Cafe is already in the running for your new haunt. The dim lighting and refined interior creates the perfect ambience for a drink and a nice meal like the Duck Breast Magret stuffed with foie gras, while sitting at the bar. This Gastropub is a favorite among local Monctonians for a reason or eight. The casual yet cultured environment Tide and Boar creates will leave you wanting to come back again. As will the food. And the drink. And the live music. Order the New Burger, consisting of house ground New Brunswick beef brisket chuck and bacon on a toasted brioche bun with dijonaise, tomato, pickle, caramelized onion and old cheddar. A fairly new, but nonetheless swanky, gastropub, Stubborn Goat is one of Halifax’s up-and-coming gems. During the summertime, the patio is the place to be to enjoy a beer and some good conversation. Inside you can partake in live music (by dancing…please don’t sing) and food by the bar that is above your average bar’s standard. Case study: Cherry wood smoked meatloaf, with seasonal local vegetables, mash, and onion pale ale. Anne and Gerard Curran don’t dream about owning an authentic Irish pub anymore, because now they do own an authentic Irish pub. James Joyce Pub in Calgary. Our pick for an Irish-style pub meal is the gourmet lamb and pistachio burger with char-grilled lamb, Stilton cheese, crispy onions, pistachios and red onion marmalade. Winter is cold, but we can be warm. We have the technology! The outdoor heated bar at Araxi is the perfect spot to wine and dine in the Whistler village. With the full menu available at the bar, guests can feast upon dishes such as Alberta beef tenderloin tartar and wild BC salmon. If you’re feeling like seafood, Araxi has a wide variety, including an oyster bar, which is our pick to try out. With over 120 different varieties of craft beer, taps from 15 different countries and bartenders who know what they’re doing, it’s no wonder Beerbistro has the rep it does in Hogtown. Go for the beer, but stay for the food like the Pulled Pork Primanti, consisting of beer braised and house smoke, coleslaw, gouda and potato. Then go back for the beer. Beer is great, true. And StillWell has that and then some. Their selection is sourced from the local brewery community, so you know your getting a true taste of Nova Scotia. Our pick for the best bar food is the “He’s the Zissou Sandwhich”, consisting of a fried oyster, egg, bacon, slaw and oyster aioli. Voted best in Vancouver Magazine as best upscale restaurant, Hawksworth Restaurant is a favorite hot spot for locals and visitors. The contemporary, all-black interior of the bar reflects the modern menu and clientele, and the list of drinks (especially the whisky list, which is one of the best in Canada) is impressive. 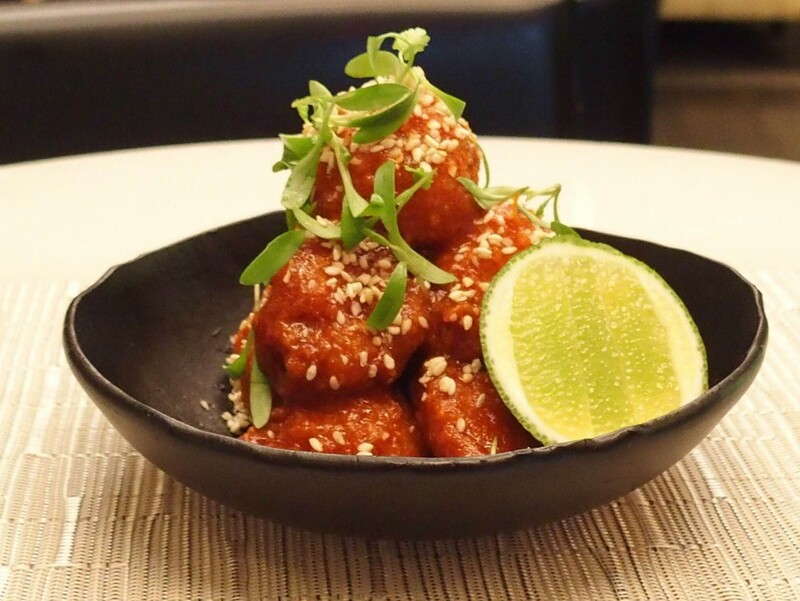 And the snack list is equally as notable; our pick is the Korean Fried Cauliflower, served with green apple and sesame. We promise you won’t miss the chicken. Here are our top picks for the best gourmet bar food joints across the country.